QC Event School has over 100 Facebook reviews, with an average rating of 4.8 out of 5 stars! Check out QC’s facebook page for recent reviews from students and graduates, and find out why they’re happy they enrolled with QC Event School! Lauren Spingola, IEWP, is a QC Event & Wedding Planning graduate and owner of Golden State Events. Lauren treats every event she plans as an opportunity to create happiness. Through her studies with QC Event School, Lauren learned how to create a business plan and marketing materials. 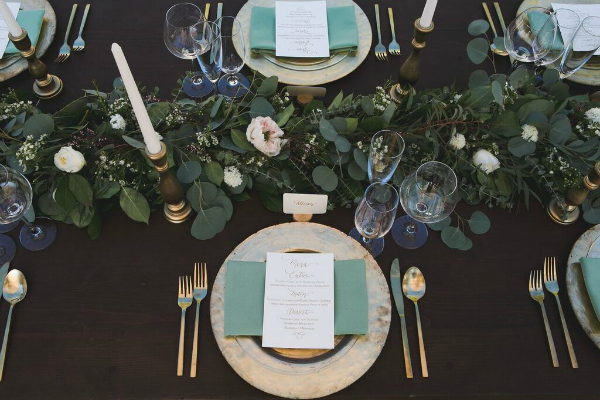 Since starting Golden State Events, Lauren has worked on a variety of events and weddings – her personal favorite. She hopes to someday own her own venue where she can host many beautiful events and weddings. “The content was educational and very relevant to me both personally and professionally. I will be putting what I learned into practice in my own business as an event planner. All the modules in each unit were fun to work on, and I especially liked that all the research I did was for resources in my own town. I now have my own extensive working file at my fingertips because of working through the assignments. Let QC help you launch a successful career in the event and wedding industry. Whether you’re looking to start your own business, or learn how to organize and coordinate any type of event, QC can help you reach your goals.